Our ladies ministry, Ladies of Grace, meets the spiritual, physical, and emotional needs of women at Carolinas Cornerstone and within our community. We offer relevant small group Bible studies, support groups and activities for ladies of all ages, in every season of life. Our goal is to encourage ladies to meet new friends, build lasting relationships and grow in their spiritual journey, as we pursue faithfully, a Christ-centered life. Led By: Frances Duerr. Frances has been a member of our church for a long time. 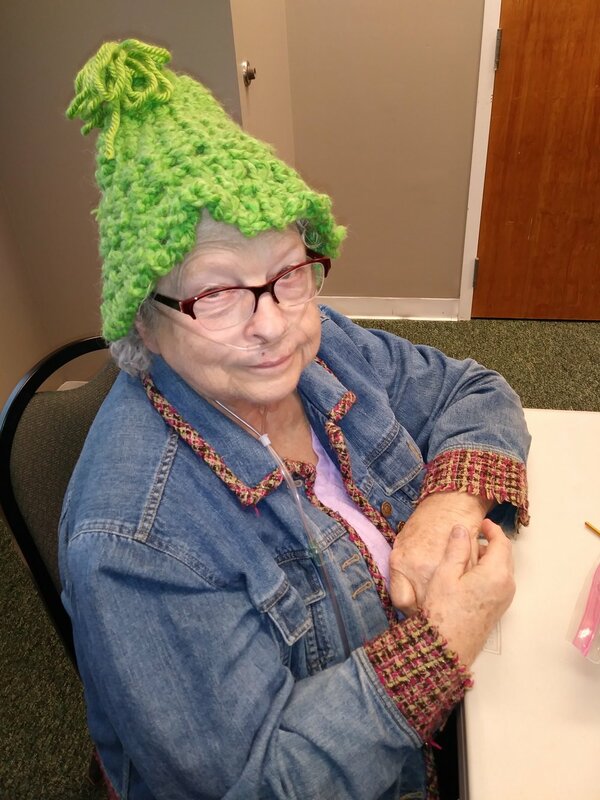 She's been crafting all the time and has a passion for reaching out to people who feel lonely or are in need of a little encouragement. Who: We are a group of ladies who make and write cards for the sick and our friends at home. What: You can create cards, buy cards, or postage stamps, and donate them to the ministry. You can volunteer to be a correspondent, by writing uplifting messages and encouragement for the many that we mail cards to. Where: We work at home, in our spare time. When: Anytime you have free time to give. So many loved ones or friends are going through difficult times. No one person could possibly meet all their emotional needs. The cards for encouragement are a means to reach out to those going through surgery, long-term illness, or grieving from the loss of a loved one. Some of the cards go to those who simply need to know someone cares. This team consists of Cindy Moore, Jean Fulp, Donna Britsch, Teena Willis, Frances Duerr, Cassie Rodriguez, Julia Farella, Ali Adkins, Jamie Honeggar, Lou Vance, Debbie Cookman, Carolee Adams, Ana Rodriguez, and Bibi Rodriguez. Some of these ladies make the cards while others write notes and mail the cards each month. These members send as many as 100 cards a month, but we divide the list up so that each person sends as few as 10 each. It is not a burden at all but a great opportunity for ministry. The cards always include a word of encouragement and a Scripture which can help more than we realize. This team also offers a card-making event for all the ladies in the church at least once a year. We hope you will plan to attend. Our next event will be announced in the church’s newsletter. 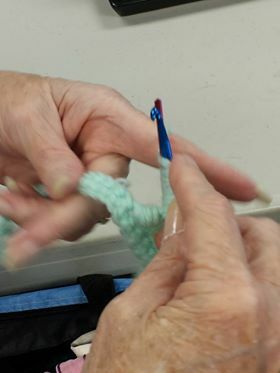 Who: Anyone who likes to knit, crochet, loom, sew or craft... OR anyone who wants to LEARN is also welcome to attend. 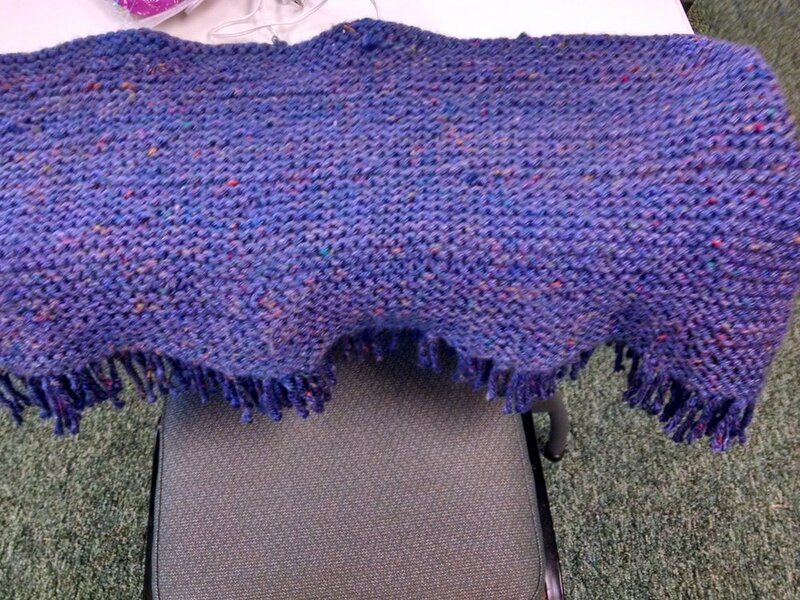 Why: We make prayer shawls and lap blankets for the sick and home-bound. We make scarves for the homeless each winter. We also make hand crafted items for other events and organizations that the Lord lays on our hearts. That has included baby hats and booties for the Palmetto Women’s Center, troll hats for the Levine Children’s Cancer Hospital and breast pillows for cancer patients. Each item is prayed over, starting with the beginning stitch and ending with the finished project. We know they will bring comfort and we hope happiness to the person receiving them. We want everyone suffering the hardships of sickness, cancer, etc. to know that they are LOVED, not just by us, but by God Himself! Once the item is complete, we offer prayers and blessings for the person who will receive it. When: First and Third Saturday, at 10 am. Led By: Debbie Cookman. 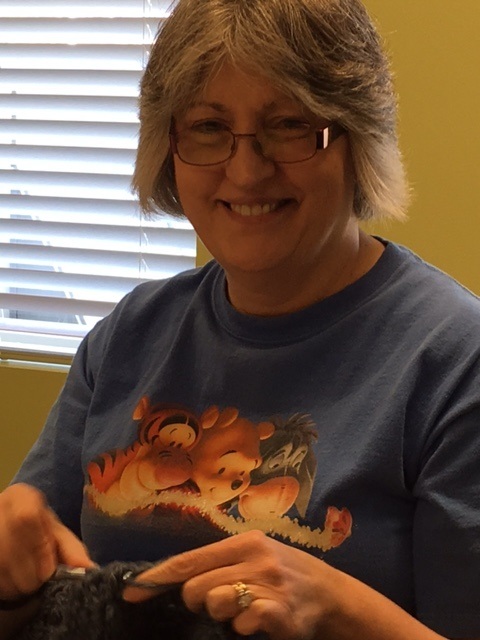 Debbie and her family moved to Fort Mill from Southern California in 2008. Currently she is an International Visa Specialists and her primary role is to locate qualified dialysis nurses from around the world and place them in renal centers throughout the United States. Debbie and her husband, Mike, visited Carolinas Cornerstone in December of 2012 and quickly fell in love with the church. They are active in several ministries. Who: This group is open to any lady 18 years or older. You can be a part of the church or a visitor, drop ins always welcome! What: Ladies prayer meeting. Need prayer? Want to join your sisters in the power of prayer? New to prayer? Please join us any time. Prayer is the hinge that opens the door to heaven. An adult bible study group for women in any season of life! Women of Worth: A group of ladies who gather together on Wednesday evenings for some God time, bible study and fellowship with one another. A group for women of all ages. Striving to build strong friendships with each other as we dive into God's words. You'll be glad to join us!